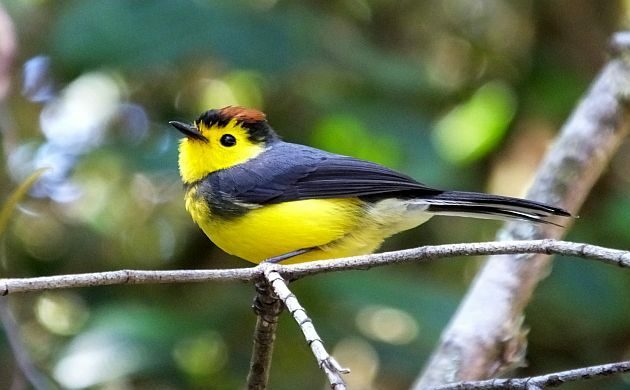 Collared Redstart– cute and common in the highlands of Costa Rica and western Panama. 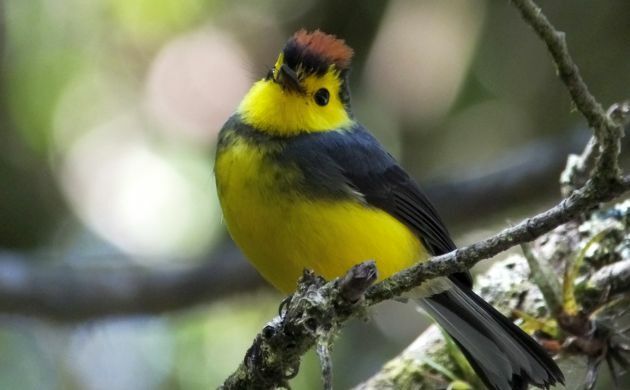 This species is sometimes known as “amigo del hombre” (friend of man) because it can follow people through the forest to catch bugs scared out of hiding. Yeah, it’s just using you as a beater but you get rewarded with close looks and photos. 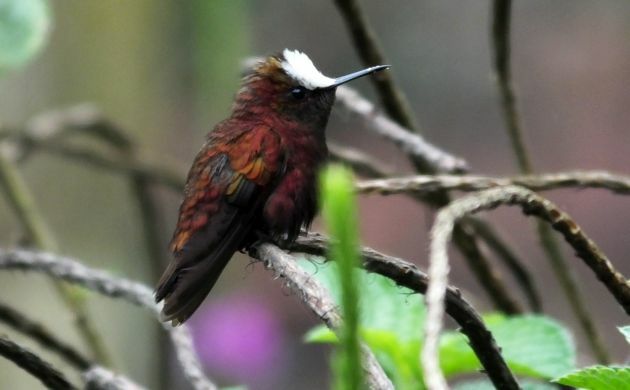 Snowcap– all hummingbirds are cute but this one is tiny AND the male looks like wine candy. 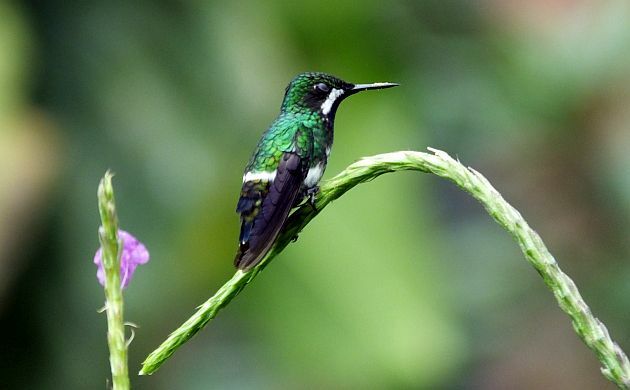 Green Thorntail– like I said, all hummingbirds are cute (except maybe the Giant Hummingbird of South America. That one almost looks like a swallow with a super long beak). 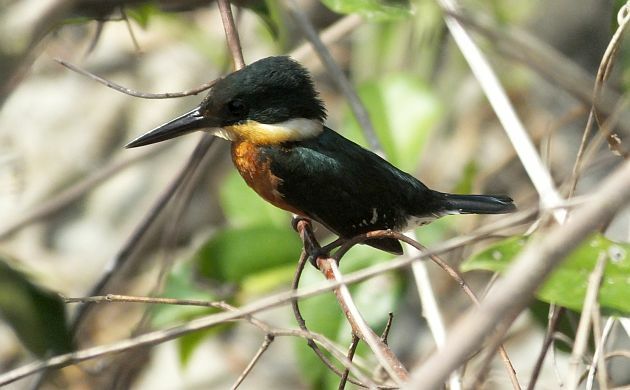 American Pygmy Kingfisher– it’s tough to express the cute factor of this species with a photo. See one in person, though, and the tiny size, shining colors, and ticking call notes will get your attention. 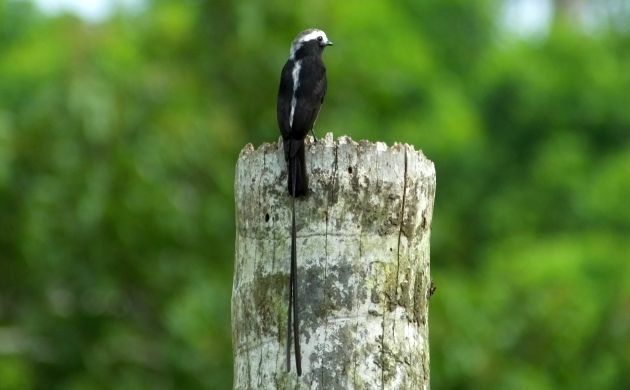 Long-tailed Tyrant– this cute little flycatcher likes to sit out in the open and flick its super long tail as it gives a soft call note. 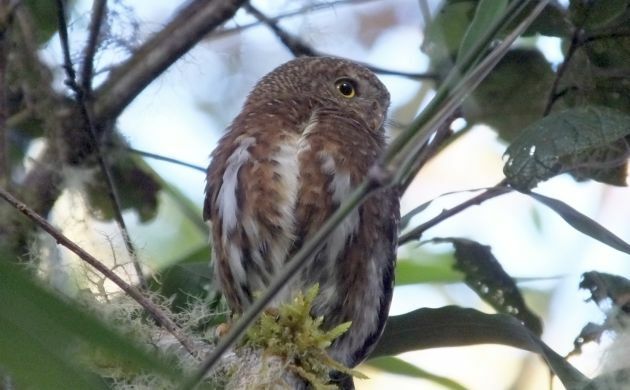 Costa Rican Pygmy-Owl– Despite their rapacious ways and penchant to eat other cute birds, some owls fall smartly into the cute category. Since cuteness depends on who is doing the looking, we could also talk about everything from Crane Hawks to antpittas and manakins. However, instead of being intrigued by pictures of cute birds, I suggest visiting Costa Rica to compare avian degrees of cuteness with your own bins. Hope to see you here!